Welcome back to another issue of Milk Bar Mornings, the weekly article where we analyze various themes from the Zelda series for the story and technicalities. 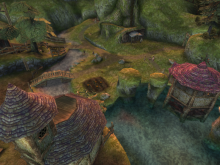 Today we will be looking themes of the many towns and villages present in Twilight Princess. Each town in the game has a very unique style, supporting the history and future if the town. From a cozy village, to a lively town, Twilight Princess‘s composers, Toru Minegishi, Asuka Ota, and Koji Kondo, did an amazing job at creating a track that fully represents the town’s role in the player’s adventure. So hit the jump to see what we have in store! To start us of, we will be looking at the Hidden Village theme. The Hidden Village is a town Link must encounter twice, in order to progress in the game. At the start of the game, the village is blocked off by rocks, after a landslide. After getting the aid of Darbus, a Goron, Link can finally enter the village, only to find that it has been overrun with Bokoblins. The background music of the village follows a western style. The jaw harp, whistling, a pipe, horns, and a guitar all make an appearance in the song, creating a theme that sticks out from all the rest. The story of this song, is a variation of a typical western story. A wandering hero comes across an old, seemingly abandoned town, only to find it over thrown with thugs (Bokoblins). The hero whips out his weapon, and kills them all, saving the town’s inhabitants (or in this case, inhabitant). The song starts off with a jaw harp, and whistling, creating a barren feel. Then the sound of someone hitting the guitar comes, and the guitar starts playing, marking the start of the battle. The whistling and jaw harp make a few cameos through this portion of the song. Pipes make a few solos, and at one point, the horns play a duet with the drums. When the battle is all over, the music doesn’t end, but simply continues, marking that this town had faced a battle. For the second piece of the day, we will be looking at Kakariko Village. 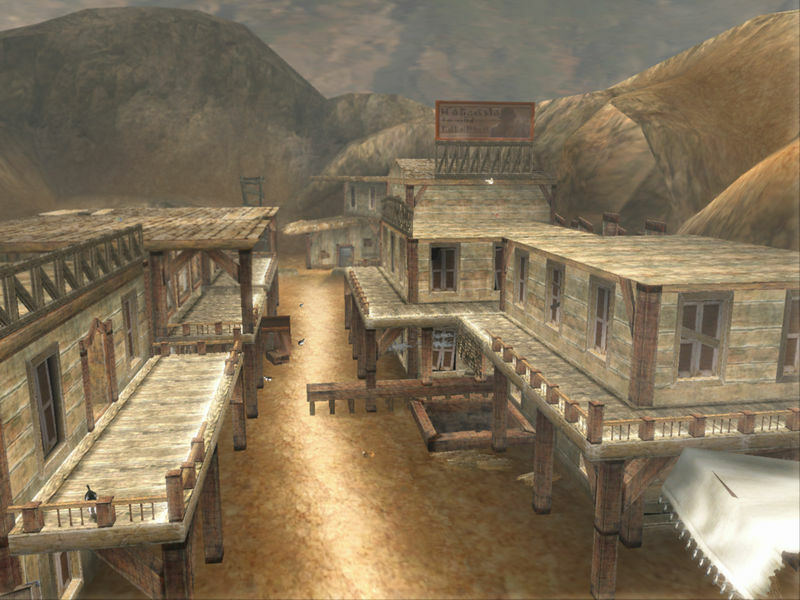 Kakariko Village has been a recurring place in the series since A Link to the Past, following the same theme in every appearance. It is not until it appears in Twilight Princess when it is revamped. 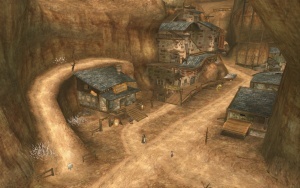 The village has a very barren and rocky look and feel in this game, different from the classic lively and bright feel present in its predecessors. The theme for the town well compliments it, starting off with references to the original theme, before breaking into the new theme present in this game. To compliment the dry rocky town it is now, instruments such as the pipes, marimba, horns, drums, and strings are used, creating a theme that perfectly represents the village. The story present in this theme is a story of sanctum. Through all the battles present in the game, the one place where everyone knows they are safe is Kakariko Village. After Link saves Colin, the kids of Ordon decide to stay in Kakariko under the protection of the village shaman, Renado. To support this, the music uses the rocky sound in a more calm and homely fashion, rather than in a tough and dusty way. Together this holds up to mark Kakariko Village as a sanctuary through the twilight. 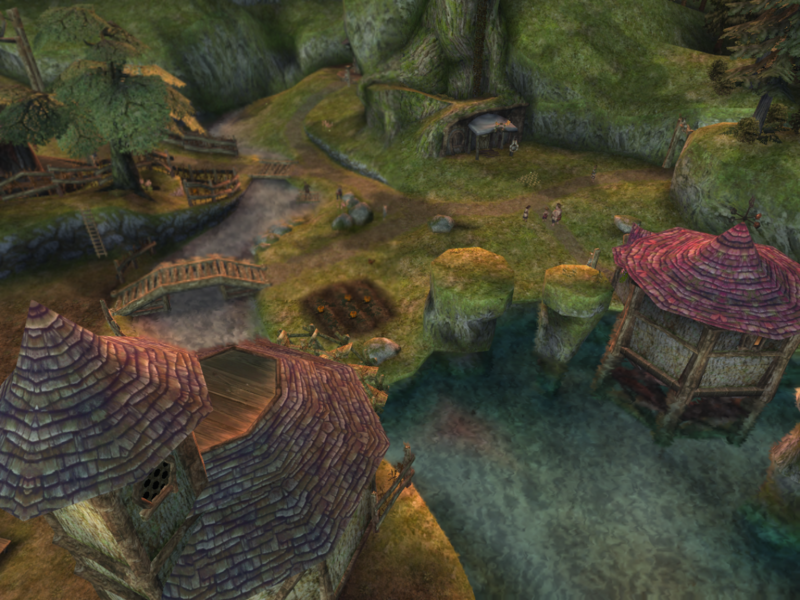 For our last piece, we will be looking at Ordon Village. Ordon Village is the village in which Link lived, and where the game starts. The town is quiet, and the theme for the village perfectly captures that. The theme features a marimba, strings, and of course, a pipe. The song starts off with the beat, which is a bass string instrument and the marimba playing together. Then, the pipes come in, playing the melody. Next, the song enters a second area, with a new melody placed by strings, before finally returning back to the original melody on the pipes. Together a calm and serene piece is created. The story of this piece is a story of innocence. The town was pulled into the middle of the mess that forms throughout the game. With the children being kidnapped, and the town being overcome by twilight, the townspeople have to face a darkness that they have no reason to face. The bass and marimba playing the calm waltz-like rhythm shows the innocence of the town by showing the happiness and relaxation that goes on in town, and overall how none of the towns people truly need to worry. The calm melody shows the innocence of the town by showing that these people who have lives like everyone else live day by day, not showing any greed or hatred. Finally, the second melody played by the strings comes in, not representing there innocence, but Link, who is part of the town, and will arise to protect it and its people. That is all for this week’s issue of Milk Bar Mornings! Let me know what you thought about it in the comments below. Also let me know if you have any suggestions for themes in the comments. Thanks for reading!